Beginning this spring, Postmates and Mother LA will unveil national creative that brings to life the pop-culture brand turned verb with "Postmate it." LOS ANGELES, April 8, 2019 /PRNewswire/ -- Postmates, the leader in on-demand anything, today announced it has chosen Mother Los Angeles as its new creative agency of record. In conjunction with this announcement, Postmates is also unveiling the first wave of a new national brand marketing campaign that captures how Postmates is now a way of life. Postmates and Mother LA will unveil the extended 360 brand campaign in a range of additional channels later this spring. Postmates today announced it has chosen Mother Los Angeles as its new creative agency of record. 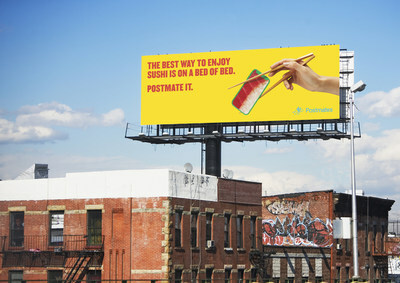 In conjunction with this announcement, Postmates is also unveiling the first wave of a new national brand marketing campaign that captures how Postmates is now a way of life. In creating the campaign, Postmates and Mother LA developed an approach that celebrates the full spectrum of modern life and all the amazing ways cooking with Postmates makes life more magical. "We often hear from our customers that the ability to Postmate whatever they want makes them feel like they've acquired a new superpower," said Eric Edge, Senior Vice President of Brand and Communications, Postmates. 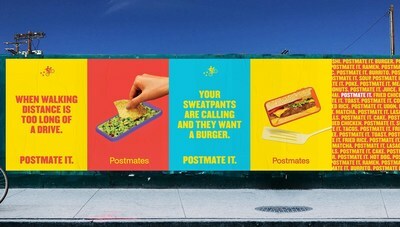 "With our creative partners at Mother LA, we were able to take these unique consumer insights and pair them with our lifestyle brand to come up with an entirely new campaign that bridges food and technology while showcasing how Postmates has become a verb in pop culture." "Postmates is a category defining brand with a proven track record of great creativity," said Romain Naegelen, Managing Director, Mother Los Angeles. "We have a shared belief in the power of creativity to transform a business which we can feel every day in our partnership with the Postmates team. We're honored to be a part of what I believe will be one of their most important phases of growth." This new campaign was born from real customer insights that bridge the customer experience with the power of food. In creating the campaign, Postmates and Mother LA developed an approach that celebrates the full spectrum of modern life and all the amazing ways cooking with Postmates makes life more magical. The campaign launches with bespoke OOH executions that are tailored to specific local insights, right down to the street they appear on. Spanning OOH billboards, bus shelters, wild postings, and wall murals, the first phase of the campaign can be seen in key markets including Los Angeles, New York, and Miami. Noble People handle media planning and buying for Postmates. "The best way to enjoy sushi is on a bed of bed. Postmate it." "Your sweatpants are calling and they want a burger. Postmate it." "When you need bolognese to pair with a nice red sweatpant. Postmate it." "Because a second dinner is popular enough to make a billboard about it. Postmate it." As the leader in on-demand, Postmates customers can choose from the most selection amongst any on-demand platform with more than 500,000 restaurants, grocery/convenience stores and retailers available in the US and Mexico City. With unprecedented growth over the past year, Postmates now operates in about 3,000 cities and has added some of the most sought-after local and national restaurants, serving 65 of the top 100 restaurant brands in the U.S.
Postmates helps people unlock the best of their cities – and their lives, with the reliable on-demand "anything" network. Launched in 2011, Postmates pioneered the on-demand delivery movement in the U.S. by offering delivery from restaurants and stores previously only available offline. The company now operates in more than 3,000 U.S. cities, as well as Mexico, and provides access to over 500,000 merchants. Postmates is headquartered in San Francisco and has more than 800 employees. Learn more: www.postmates.com. Mother was founded in London in 1996 by a group of creative, free-thinking individuals sitting around a kitchen table eating lunch. It's here that the group decided that they were hungry to do things differently. They wanted to break free from the shackles of traditional agencies and be 100% independent. Today, Mother is still fiercely independent, with offices across London, New York, Los Angeles, Shanghai, and South America. For more information, visit https://motherfamily.com/.